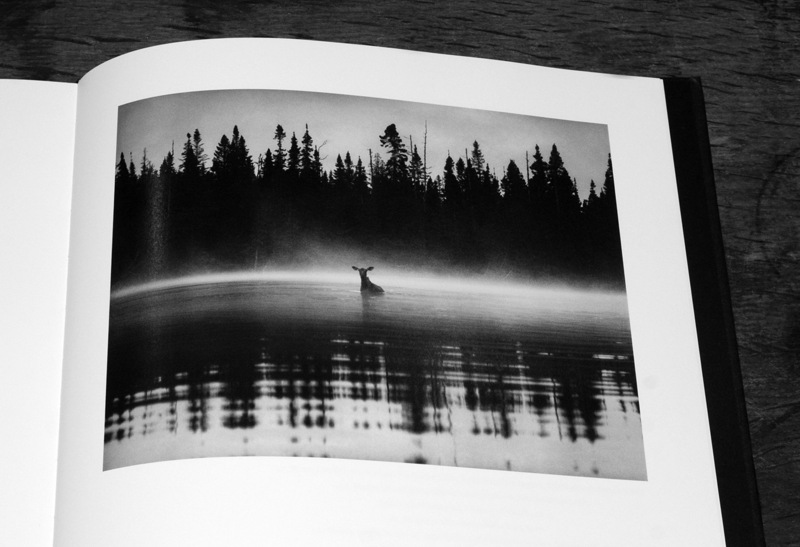 I’m rather taken by George Shiras’ photography and the book collection of it In The Heart Of The Dark Night, published by Éditions Xavier Barral. 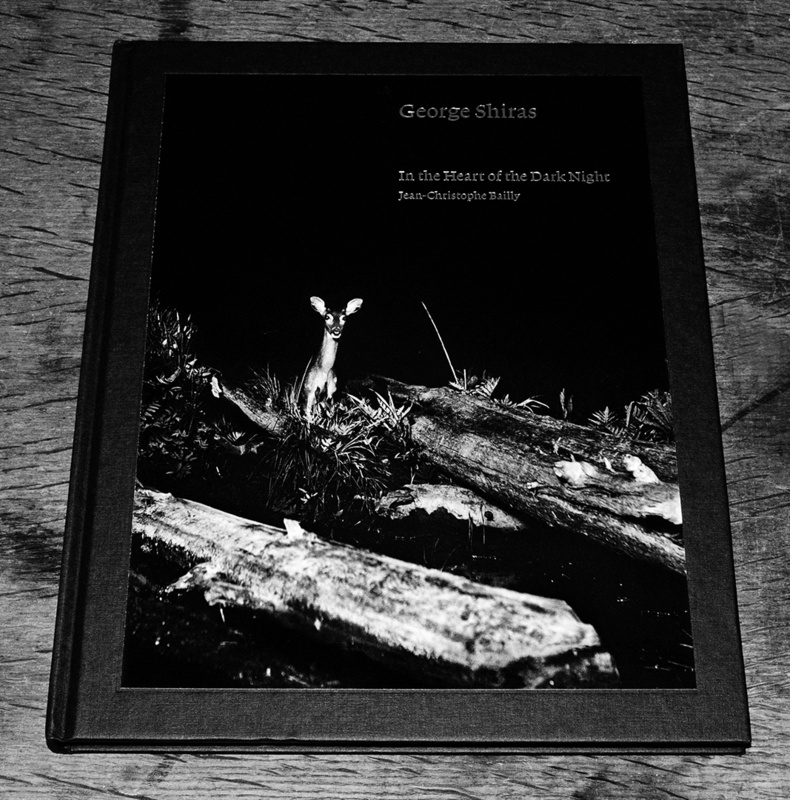 George Shiras was a pioneer of night time flash photography, particularly regarding nature photography. His photographs show a world never seen and/or captured in this way before and they seem to have an almost otherworldy air to them. The level of patience and hit-or-miss, sometimes literally dangerous techniques for creating flash that he used somewhat beggars belief in our more “I’ve got most of the techology I need for that sort of thing in my pocket, via a small computer/optical/communication device that’s quite a bit smaller than a paperback book” days. In those days it was essentially about setting fire to and quick explosions of flammable powders and the like. Alongside spending nights and nights or months and months waiting patiently for the right moment to light the taper as it were. 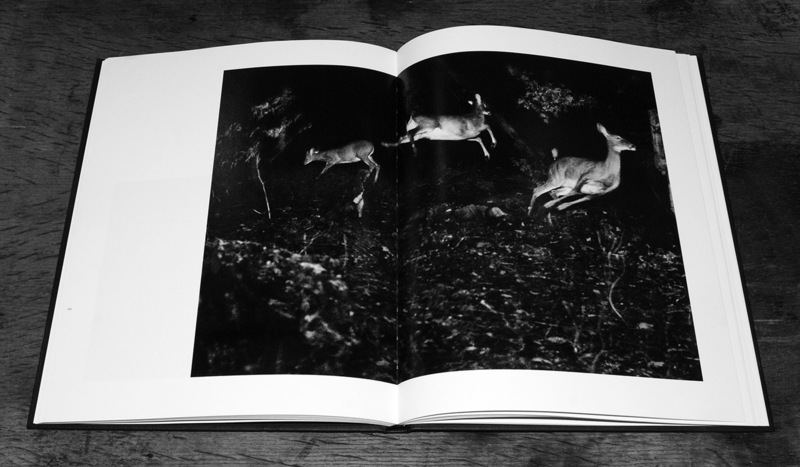 The book itself is a rather lovely artifact – one of those things that you want to hold delicately as it feels precious. Nice cloth cover, tipped in cover image, embossed silver spine text and paper that is glossy but subtley textured and without the mainstream ubiquity feel that gloss can sometimes have. A fine thing to be out in the world. 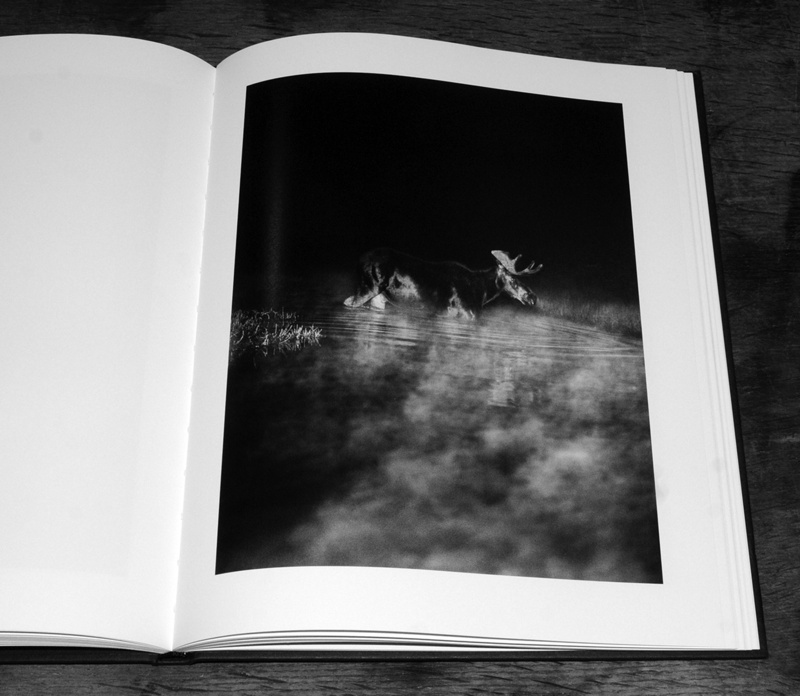 In The Heart Of The Dark Night at Éditions Xavier Barral.